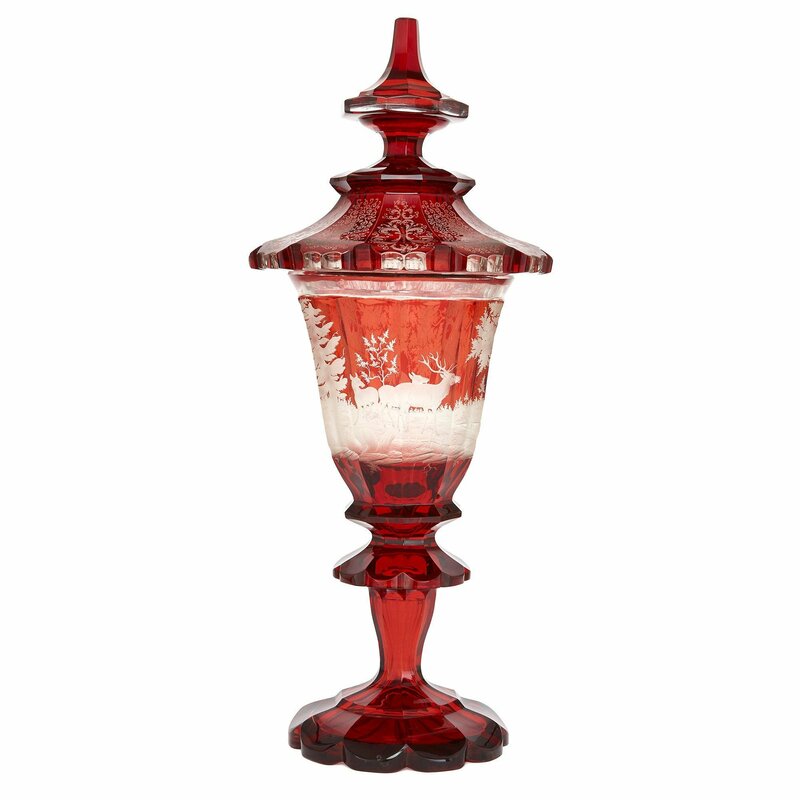 This beautiful glass goblet features masterful engravings all around, which contrast wonderfully with the rich, lustrous tone of the red stained glass. This truly exquisite Bohemian glass goblet is entirely crafted of rich, red stained glass, which has been intricately cut with fluting and petal-work to offer contrasting degrees of opacity. 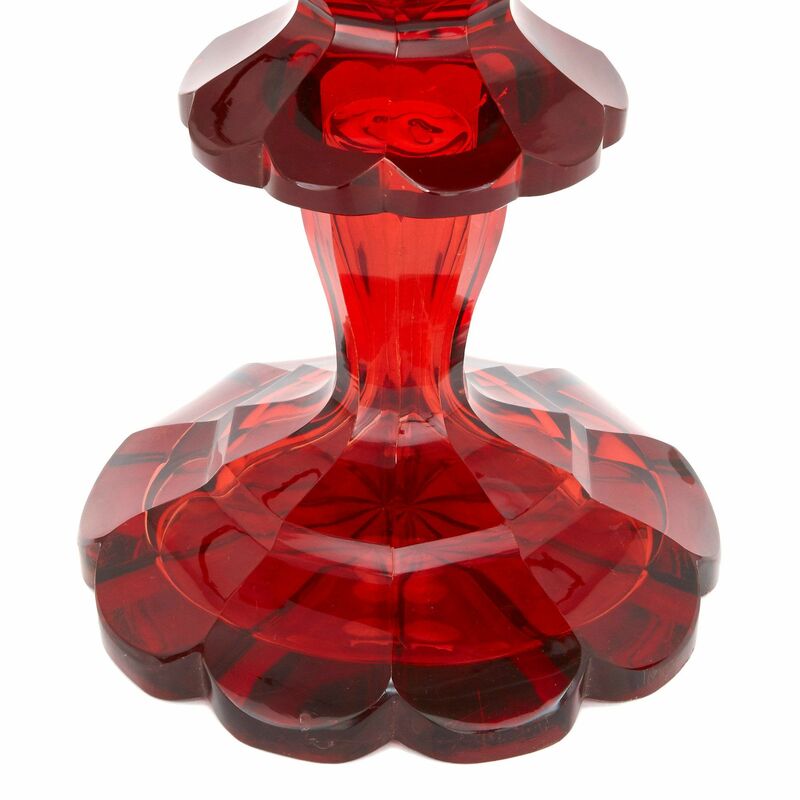 The body of the goblet is set betwixt two a lower lip and the upper protruding rim of the cover. 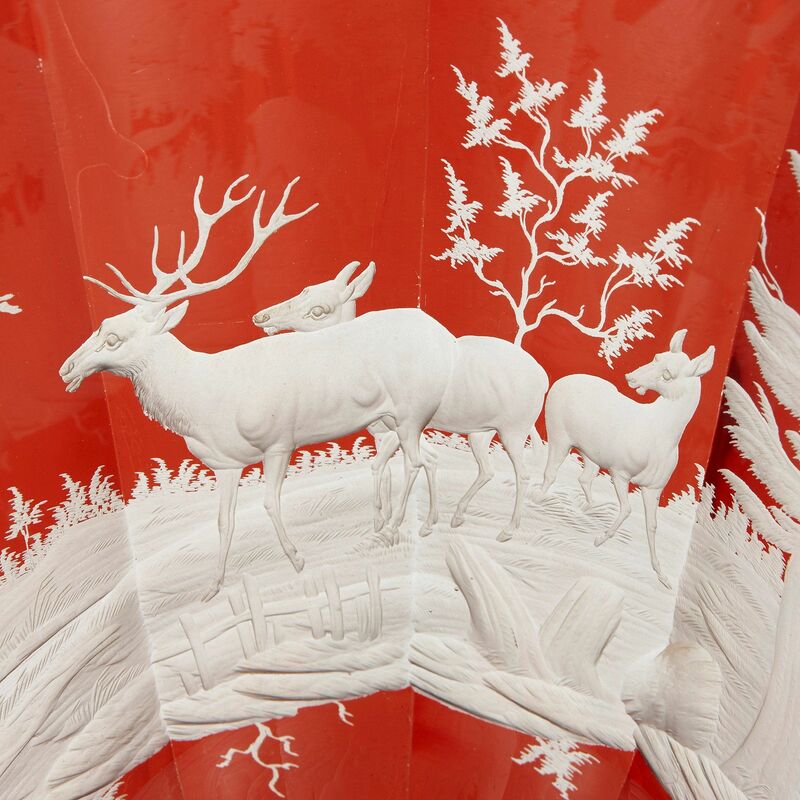 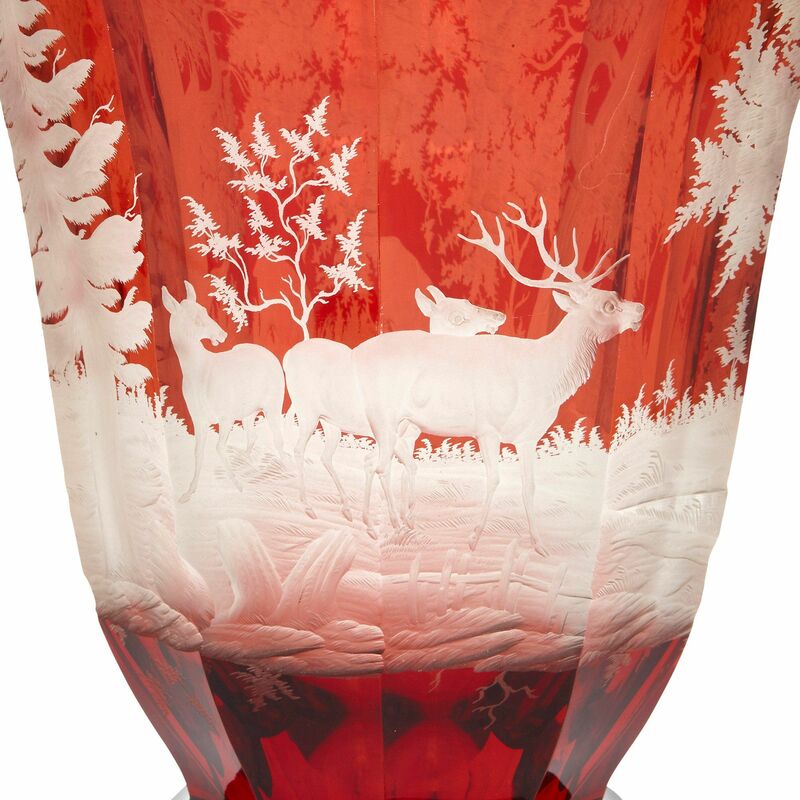 Tapered in shape, the goblet body is delicately engraved all around with a landscape scene with stags and deer. 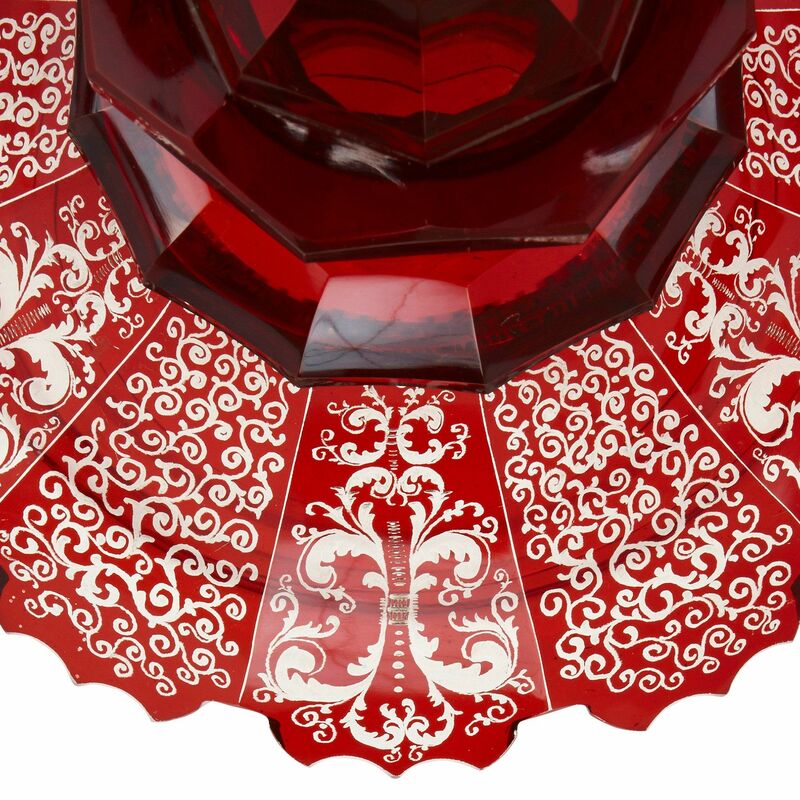 The surmounting cover is similarly engraved with curving arabesques and topped with a jewel-like finial. 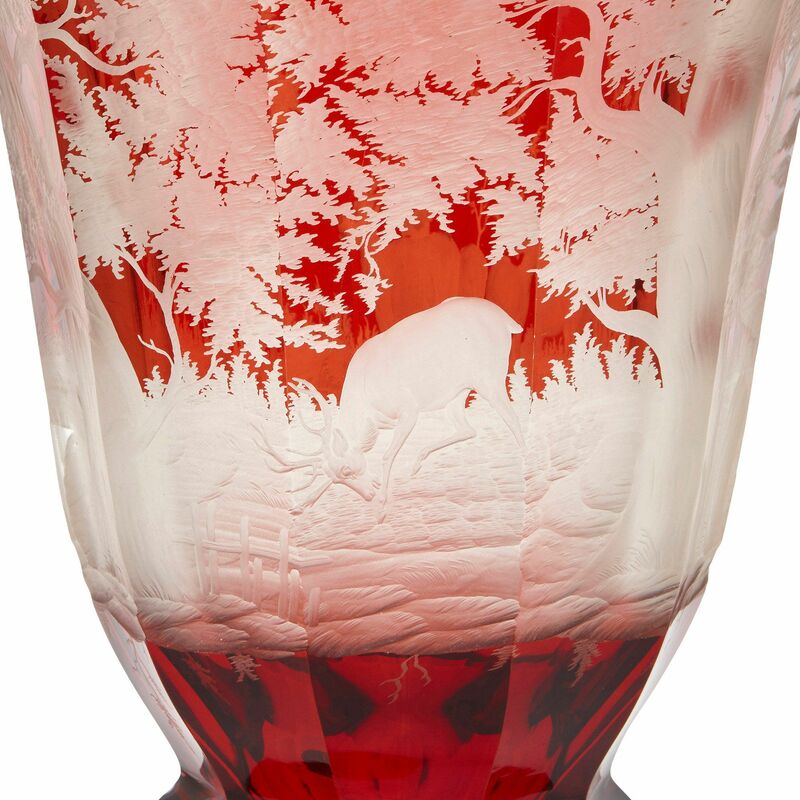 This glass is very similar in design to this other example.